Flag Officer Sea Training, HM Naval Base Plymouth, 2009. 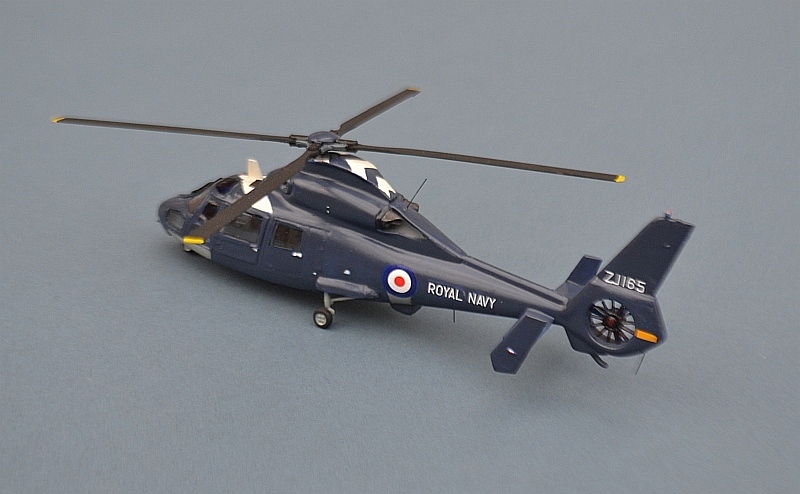 This is the old Matchbox Dauphin kit, converted to represent one of the RN’s FOST Helicopters. 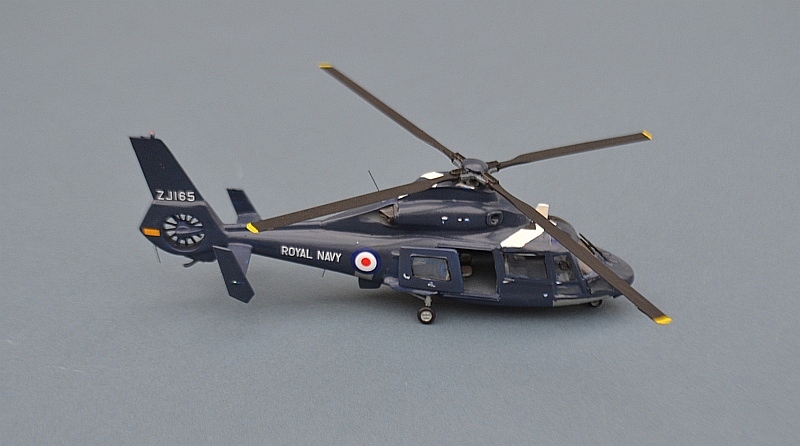 Originally built in 2009 as one of a pair (the other in the original Bond Helicopters red colours) , it has a number of scratch-bulilt changes from the original kit, including a new starboard cabin door, additional passenger seats, new undercarriage bays and a variety of added external antenna including a radar altimeter. 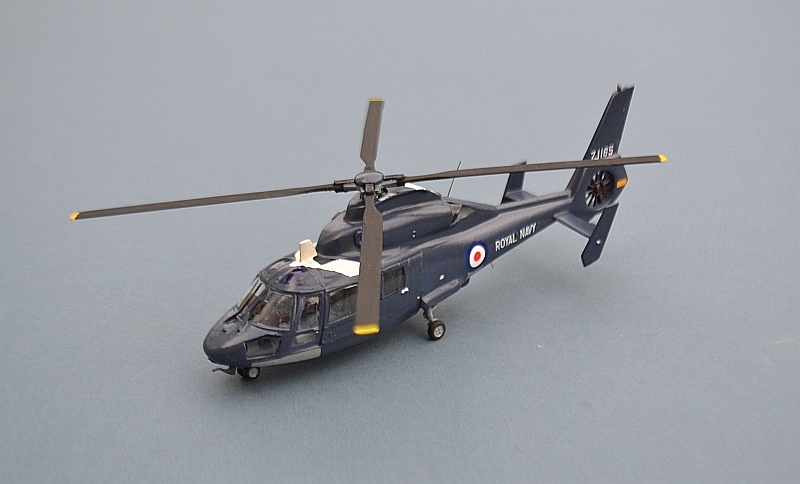 I was never happy with the colour of blue paint that I used - it seems to be more of a navy blue than the oxford blue used on the early Lynx helicopters. There are more pictures around these days, plus the real things seem to have weathered somewhat, so I have repainted it with Humbrol 104, which is in fact the third colour this particular kit has worn. I am definitely happier with it this time than before. 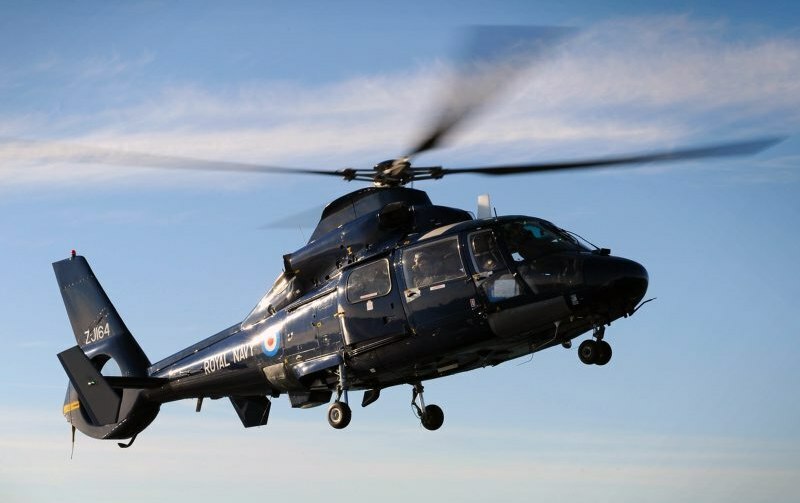 The Royal Navy’s Flag Officer Sea Training (FOST) teams use Dauphin helicopters leased from and operated by Bond to provide transfers to and from ships undergoing operational training at Plymouth, as well as for utility roles such as helicopter radar calibrations.